Parking at the Plaza 555 garage across the street from the Golden 1 Center, Jack, Drew, Sharon and I went to dinner at House Kitchen & Bar. Snipes rolled up just as we were finishing dinner. 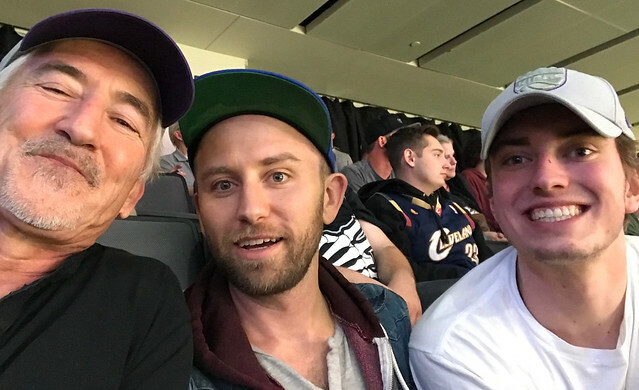 From there, we went to the Sacramento Kings versus Cleveland Cavaliers NBA basketball game. 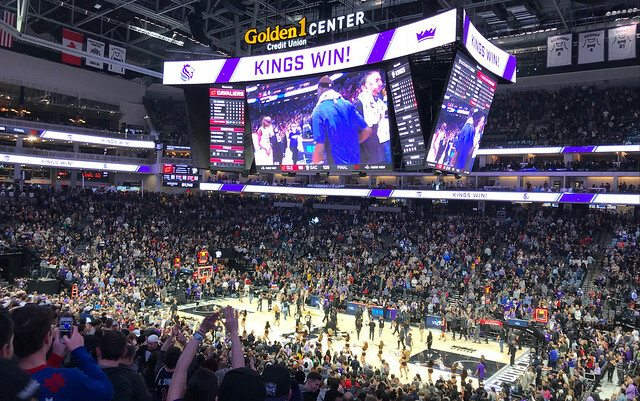 Opening a lead in the fourth quarter, the Kings won the game by the score of 109 to 95. We had seats 3, 4, 5 and 6 in row U of section 118. Sitting at the back of the lower deck, I was pleasantly surprised at the view from the seats. Vince Carter was the Kings leading scorer. He had 24 points on 10 for 12 from the field and 4 for 5 from three. Carter had no free throw attempts?!? I continue to be impressed with Bogdan Bogdanovic; he had 16 points and was 3 for 6 from three. The Cavs leading scorer was Kevin Love. He had 23 points on 7 for 12 from the field, 3 for 8 from three and 6 for 6 from the free throw line. LeBron James had a triple double: 16 points, 10 rebounds and 14 assists. We visited with Hunter and Snipes in the concourse at halftime. It was a very enjoyable game and evening. Including preseason, the Kings now have 4 wins and 0 losses in games that I have see in person during the 2017-2018 season.